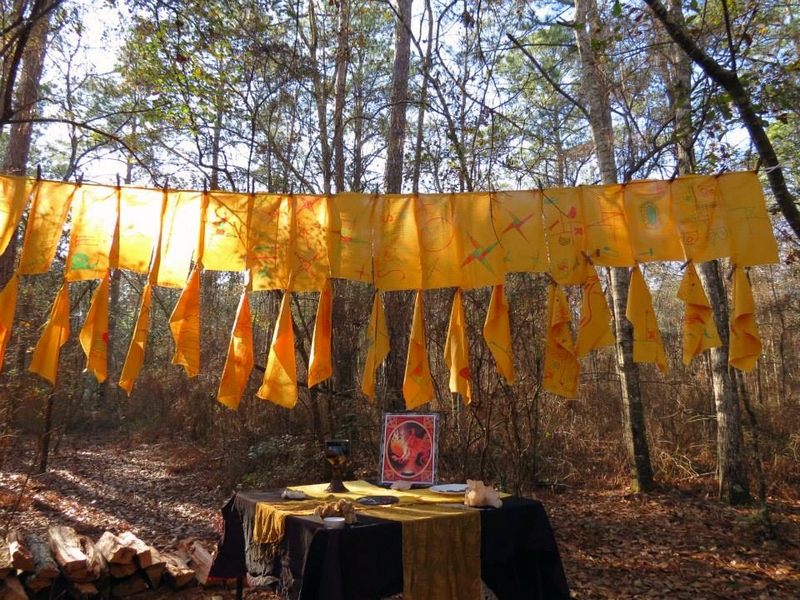 Celebrating Imbolc and the Goddess Brigid in the Sacred Grove of Vanina Mandira. After growing up around people who told me their version of the Christian God would send me to hell if I was a vegetarian or a feminist, I became an atheist. No God at all seemed better than Yahweh. In my early 30s I discovered earth worship and the feminine divine while researching a short story I was writing about magic and baseball. If God could be a girl, I thought, yeah, I could find a way to believe. Shiva, the Hindu God of Destruction and Transformation, was the first male deity I connected to. He is a gorgeous, fiery God simultaneously capable of sitting for hours in utter stillness on a mountaintop, or dancing in a ring of fire until demons die beneath his feet. At some point in my spiritual practice I started to meditate, practice Vedic chanting, and bring some periods of austerity and asceticism into my spiritual practices. And then Shiva burned my house down. I understand the hubris in this statement. I understand there may be no God, and that the evolution of the human brain has made me susceptible to the story of spirit and deity. And still I will tell you that Shiva burned my house down. 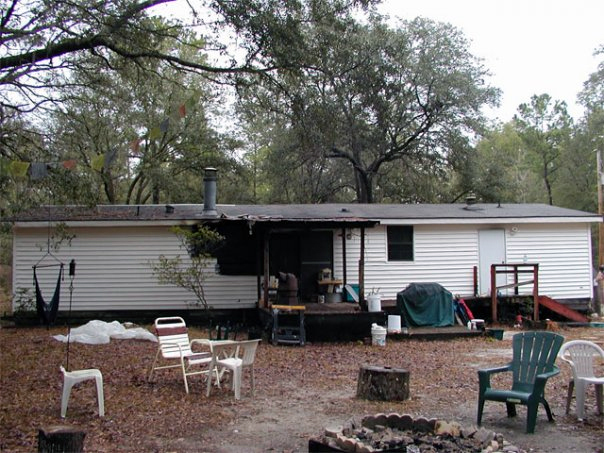 My house was a 30-year-old double-wide trailer in the woods of Northern Florida. We moved into it so soon after Hurricane Katrina no one would write us an insurance policy. Gadsden is not a coastal county, but it’s next door to a county that’s next door to a coastal county, and for Florida insurance companies with Jeb Bush in the Governor’s Mansion, that was enough excuse to do the wrong thing. In fall of 2005 we’d run out of money. We’d run out of family to give us money. We’d run out of patience with our tiny living space and the relentless pace we’d forced ourselves to step to in order to make it to Alaska. 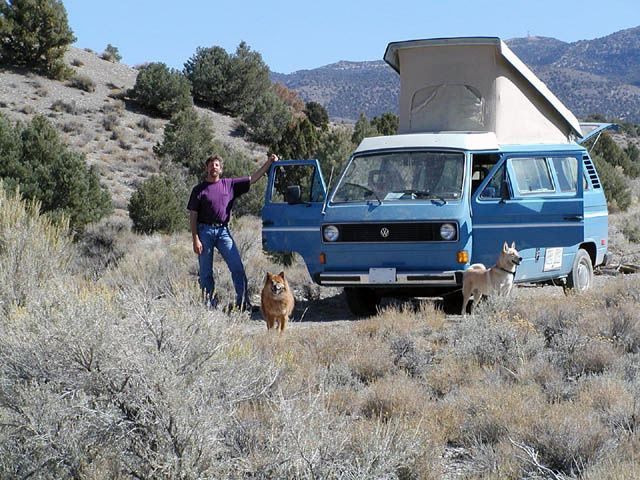 We’d been traveling in the van so long one of our dogs, Querida, would fling herself out of it every place we stopped and run for the very first house she could find. She’d sit on the front porch making sad eyes at the door, looking back at us accusingly, then looking at the door again. Camping on public lands near the Nevada-California border. And then Sammy and Sarah called us up. They had a lovely place in the woods near Tallahassee, a peaceful, natural haven on five acres where their good friends got married and their kids rode dirt bikes through the forest. They left Tallahassee for Ashville, a common enough mistake people are still making, and their renters had trashed the place and the property. They told us we could live there rent-free for six months if we sorted out the mess. So we carted out six dead appliances, hauled off two old cars, and cleaned up a shiny plastic plethora of broken toys from the yard. We patched huge holes in the walls, scrubbed tarry cigarette haze from the paneling, put down new carpet, and bought the place when our six months were up. We were in love with the land – the wild sound of barred owls hunting in the moonlight, the scent of hot sun on evergreen pine trees, the sweet taste of plump blueberries that ripened in early summer, and the anarchic shenanigans we could get up to living ¾ of a mile off the paved road. And besides, Querida refused to leave. We lived in that trailer for three years and two months before a fire took it away from us. After the fire the woods were still peaceful. There is a photograph of me at First Friday, a lively once-a-month event at our local arts park, wearing reindeer ears, prancing and cavorting with friends. I like to think of that photograph as the end of my innocence. That time, anyway. Our innocence renews and retreats and renews again – that’s a spiritual belief I cling to with all of my highly-evolved brain. The fire started in this wall, probably when a mouse or squirrel chewed on our wires. Nathaniel made it home first. When he entered the house it was completely dark and silent from lack of electricity. There was moonlight that night, but it did not reflect off of the surfaces in our dwelling, not from the walls, the linoleum, or the beige Berber carpet. Every surface in the trailer was monochrome black. 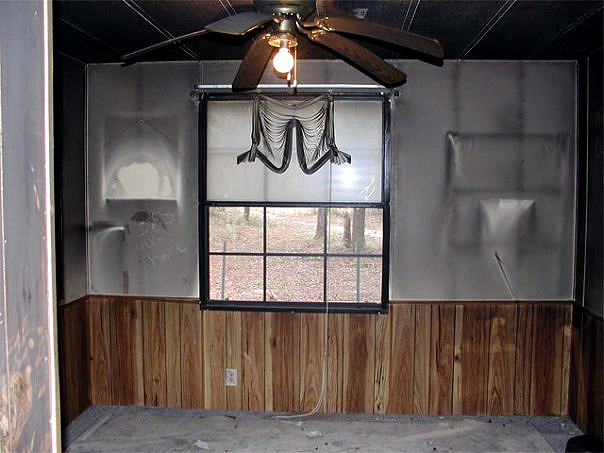 When your house is only a few minutes away from flashover, it’s as if the very air burned and created ash, black ash that coats and covers and stops reflection and illumination. Nathaniel was confused when he entered our darkened home. He’ll tell you now about how our brains protect us, keep a difficult understanding from descending on us in one leaden moment. Then, he wandered through the great room, the kitchen, the dining room, flipping on light switches with no result. Finally he found a drawer with a flashlight and shone it into the after-fire blackness. 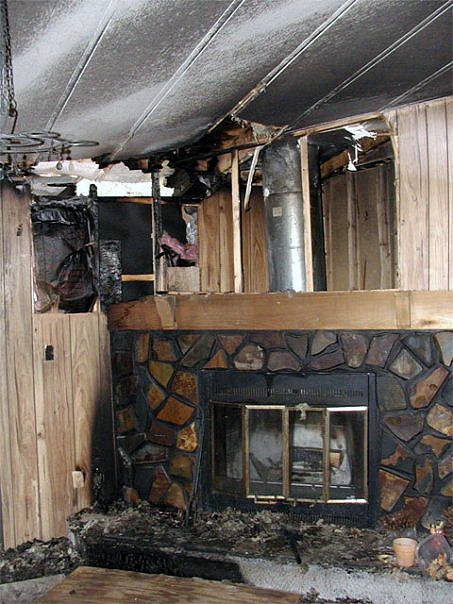 The fire had clawed open one wall and eaten away the mantel place. The firemen’s axes had destroyed more walls. The water from the fire hoses caused the plywood of the subfloor to swell into carpeted waves that turned the floor into chaos. His eyes gathered data and his mind tried to make sense of it. Finally the confusion gave way to clarity and he tasted the soot on the flashlight he was holding in his mouth while he used his hands to try and bring back the lights. We’d had a fire. He tore through the structure to try and find our dogs. The trailer had two hard-wired smoke alarms that alerted our dogs that something was very wrong. I can picture Querida, who hated loud, piercing noises more than any dog I’ve ever met, herding her mate Cassidy out of the doggie door with growls, yips, and nips. The fire turned our Venetian blinds into art and wilted the blades of our ceiling fan. They were traumatized but alive, huddled together on our King-sized bed, their blonde and red coats turned dark with ash. Several months later we took the dogs and six dozen homemade cookies to the monthly meeting of the Coonbottom Volunteer Fire Department to extend a heartfelt but inadequate thank you. The men and women petted our dogs and told us how they’d managed to put out the fire after an hour of hosing it down, a miracle, they figured, except no matter how many times they shooed them outside, the dogs kept appearing like magic back inside the dead house. Finally, the firefighters gave up and called in a different volunteer firehouse with special equipment to pump the poisonous smoke from the house so the dogs could breathe safely. After I heard this, I had no more need to mourn. He said this because the fire did not destroy our home. We saved most of our belongings, although some of them were altered forever (our leather couches never the same, books with white covers will always be gray, a bust of Beethoven scowls from under blackened brows, the mats of some pieces of art show signs of water damage and mildew). We lost the antique hurricane lamp Nathaniel inherited from his grandmother, a gate-leg antique table, some wall art, our hand-me-down television, and everything plastic we owned (dishes, spices, hangers, utensils, containers of medicines, lotions, and makeup). What else we lost: our free time, energy, money, and an easy life. It took us two years and three months to build the house we live in now. Our Temple in the Woods. 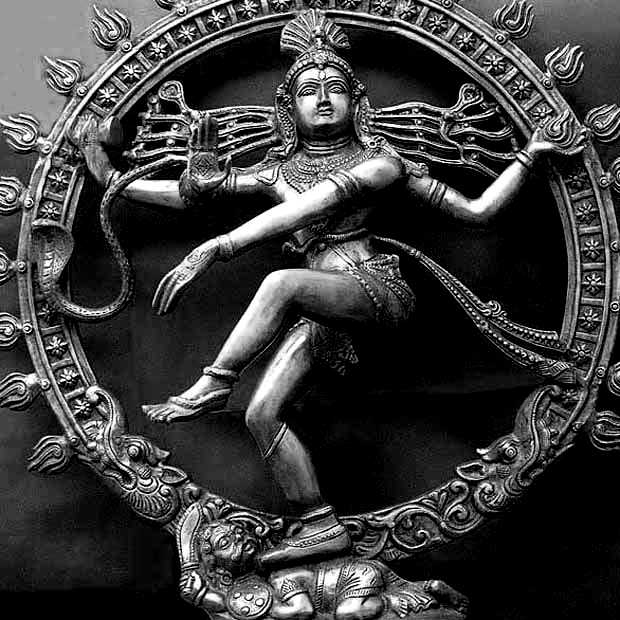 Shiva is often portrayed dancing inside of a ring of fire. 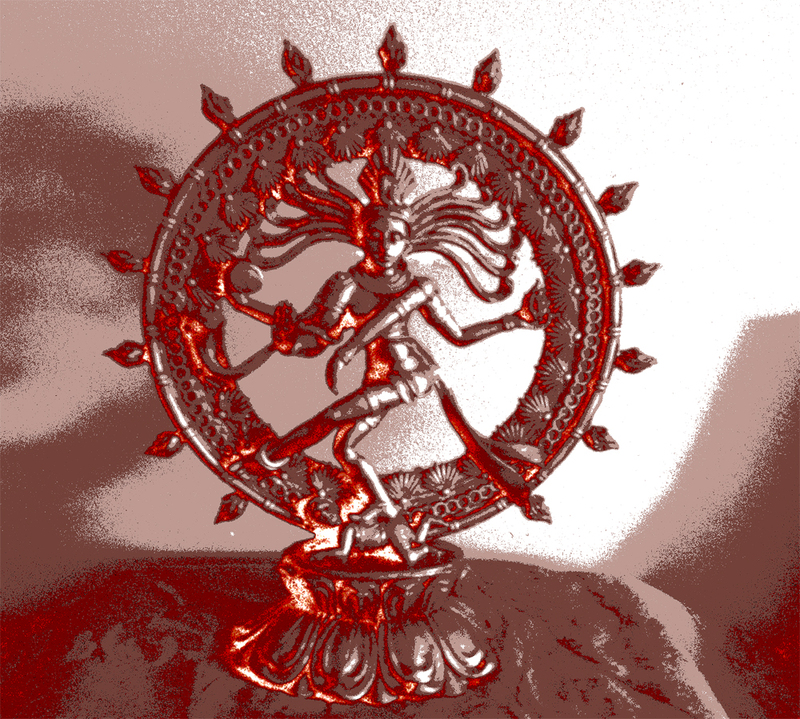 This form of the Hindu God is the Nataraja, a divine dance representing the cycle of existence – destruction, creation; birth, death, rebirth. Shiva destroys the Universe, but he scatters its ashes in a purposeful pattern. The plans of each new existence are written from the remains of the old. I do not believe in that religious saying about how everything happens for a reason – to me this seems hard-hearted and insensitive to people living in deep grief and pain from traumatic experience. I do believe that we can, if we choose, if we are able, find reason, lessons, and growth in anything that happens. The Nataraj is very serious – in it Shiva works to dispel our illusions and to end a comfortable existence that’s no longer serving us. The dance is performed to wake us, to inspire us, to save us. It’s also a dance of bliss and blessing. And bliss and blessing is where I try and choose to live today, in a house that feels more like a temple, in a sacred wood made more hallowed by the thousand hours of work I have performed here, cleaning, building, stretching, growing, and facing my own discomfort and fear. 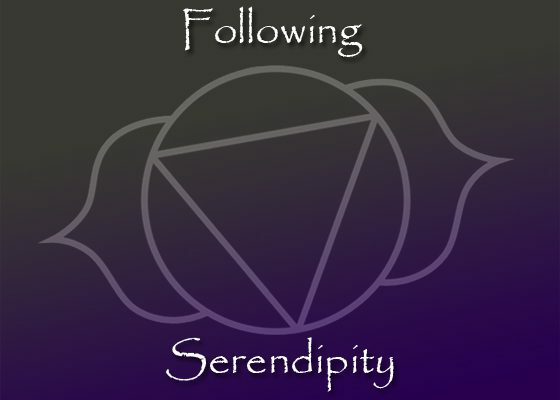 The title for this blog comes from a sacred chant/song that comes from the Singing Alive website. You can view a few more pictures of the fire and the ensuing construction project in my Construction Time Lapse Facebook album. And I love you. So much! Nice Article. I’m glad you posted on FB also so I would know this Blog is here.